Congratulations! You win 57 bonus points with this purchase! Excellent product. This was brought to market last year and my opthamologist recommended this brand and specification. 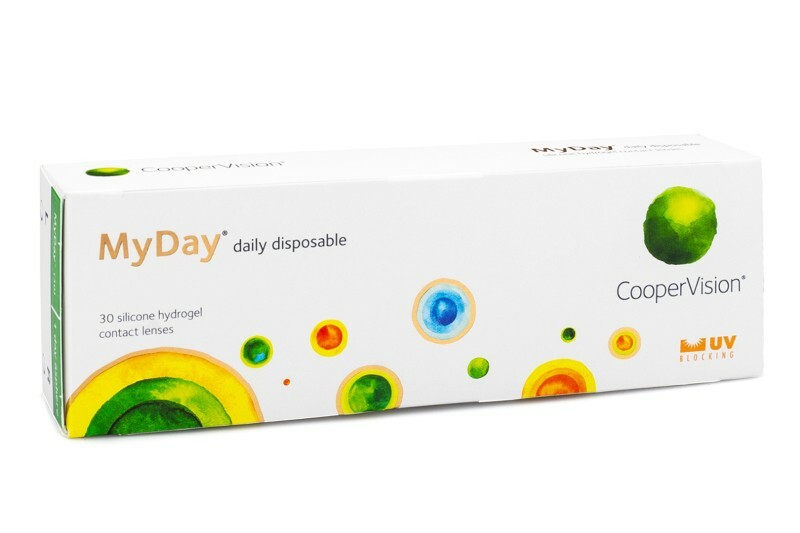 MyDay are new daily contact lenses from CooperVision. Featuring a unique chemical structure called Smart Silicone™ chemistry, MyDay™ lenses (stenfilcon A) provide efficient channels for oxygen delivery to the cornea. With less silicon needed to achieve the desired oxygen permeability levels, the efficient silicone network allows for increased hydrophilic materials. This results in improved lens surface wettability, higher water content and lower, hydrogel-like modulus for a softer, more comfortable wearing experience. The UV filter in contact lenses increases the protection of the cornea from the dangerous ultraviolet radiation. However, lenses do not cover the entire eye or eye area, so the combination of contact lenses that have UV filter and sunglasses is the ideal protection against harmful UV rays. Hi, No, unfortunately these are just regular lenses. You can find all of our coloured lenses here: https://www.lentiamo.co.uk/…-lenses.html Thank you!